Hi everyone, so today I have a MAC eyeshadow for you – I don’t have the largest MAC eyeshadow collection but the ones I do have are either hit or miss for me. I am a huge believer in drugstore eyeshadows with exception to the likes of Dior, Chanel, Lancome, Inglot & Urban Decay. Due to the fact that MAC always increases their prices on their makeup it’s even more important to be picky in my opinion because through the years I have noticed that while the price goes up for MAC products, the quality goes down so….lets get to reviewing this eyeshadow. 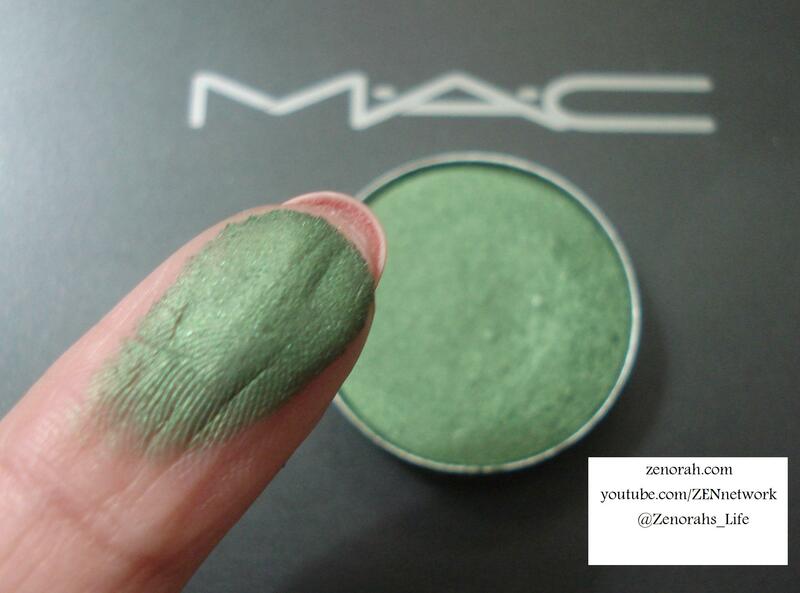 MAC ‘Humid’ – is an emerald green frost finish eyeshadow with a slight sliver sheen and is a permanent shade in their eyeshadow collection. I lusted after this eyeshadow for the longest time because it was the perfect shade of emerald green & it still is in my opinion. I love the richness of the shade but MAC’s frost finish is one of my least favourites because their frost shades aren’t as pigmented as their Veluxe Pearl or Matte Squared. 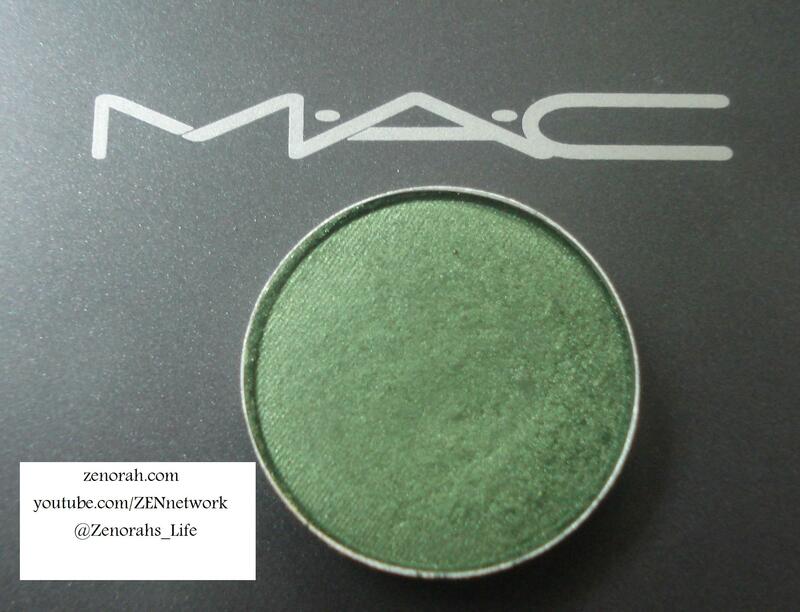 The colour of 2013 is Emerald so if you’re into trends this would be a great eyeshadow to add to your collection or if you’re a green lover naturally. The pigmentation on this one was decent but I have been spoiled by other brands such as Inglot so I am extra picky as I mentioned earlier. While it is possible to get a fairly good finger swatch it’s not as easy when swatching it onto my hand as you will see in the next photo. 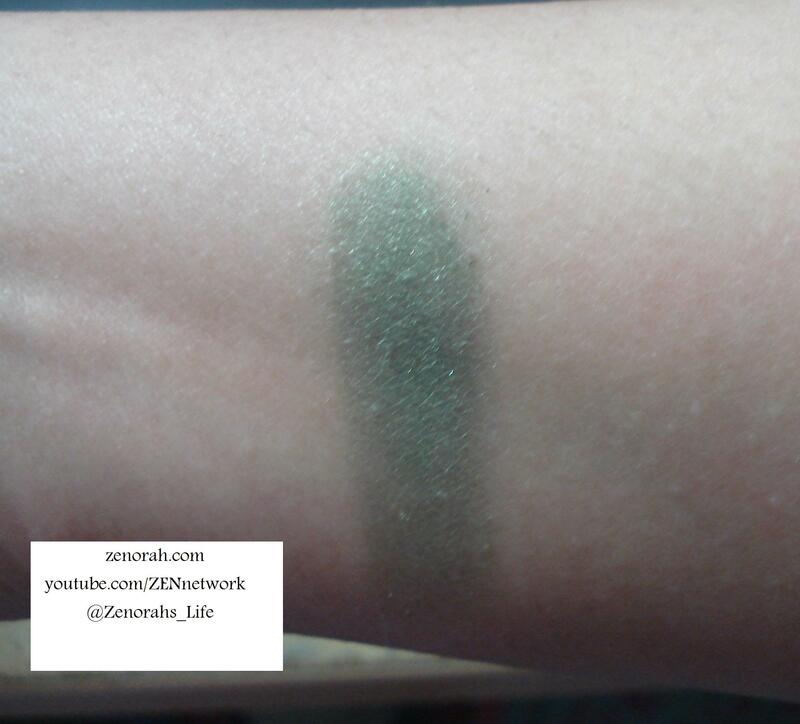 I had to swatch over the same area three times to deposit the colour you see. For a MAC eyeshadow I expected much more, while I LOVE the colour… based on the price point I am a little disappointed by it and I do believe you should save your money, unless you have been lusting after it forever. I think it s a beautiful Fall shade and I do tend to wear it more during that season, but it is a MUST have?? I would say no but I do enjoy wearing it for green smokey eyes A LOT so this is definitely a toss up. If I didn’t own it I wouldn’t feel I was missing out on it so I would say pass on this one and find a decent drugstore alternative. Do you own MAC ‘Humid’? What are your thoughts on this eyeshadow? Green is a tricky colour I wear it more in Fall time. I bet it would look stunning on you though!